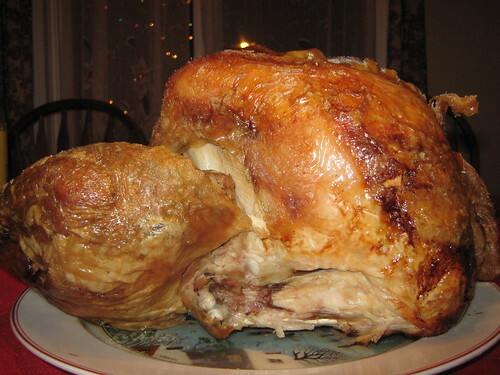 Roast turkey is one of the favorite dishes during thanksgiving, Christmas get together and New Year. This picture was taken last January 1st when we celebrated New Year. 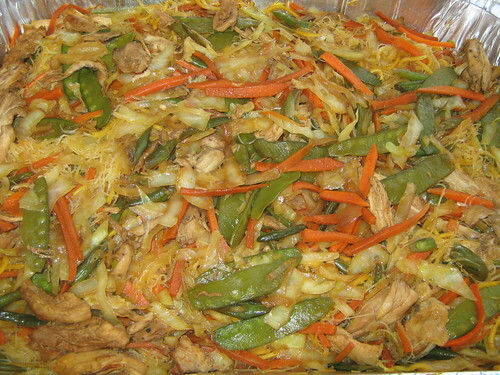 Below is the most favorite recipe of all Filipino, we called this recipe as pancit bihon. Grease a large pan or wok with oil. Sauté garlic and onions. Add the chicken broth, the shredded chicken breast and all the vegetables until cooked. Mix in the pancit bihon noodles and add the soy sauce, cook for about 5 minutes or until the noodles are soft. Serve hot with sliced calamansi on the side. 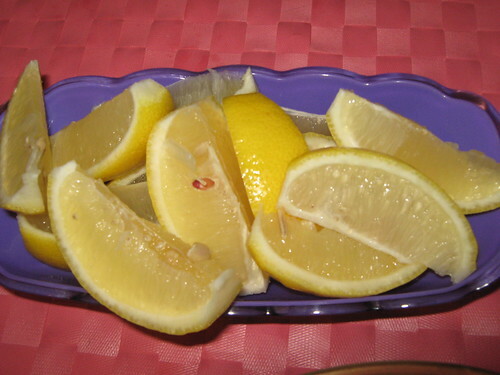 Calamansi or lemon is to be squeezed into the pancit bihon before eating. Wow.. kalaking turkey naman nito! My entry is up here. Do you got a sweet tooth? That's really yummy, very true...you filipina? Enjoy! Wow! Now I am hungry. Great photos! Thanks for visiting my blog Norm. I love the pancit,hmmm so Yummy. Thanks for sharing this photo. Pagkalami ba aning mga pagkaon nimo, Norm. Dakoa sa turkey.